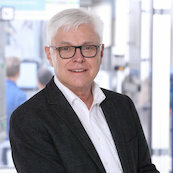 Professor Dr. Detlef Zuehlke held the chair for production automation at the Kaiserslautern University of Technology/Germany from 1991 until March 31, 2017. He had received his MSc and PhD degrees from RWTH Aachen. After completing his PhD, he worked for Lufthansa German Airlines from 1985 to 1991 where he held several management positions, finally responsible for the aircraft maintenance division as a general manager. In 2008 he was appointed director of the Innovative Factory Systems department at the German Research Center for Artificial Intelligence (DFKI) in Kaiserslautern. He held this position up to his retirement on May 31, 2017. Furthermore, Zuehlke founded the association “SmartFactory Kaiserslautern Technology Initiative” in 2005. He still serves as the Chairman of the Board, a position he has been holding since the beginning. This industry-driven research and demonstration center for smart factory technologies is recognized as the birthplace of the Industrie 4.0 paradigm. In 2017, he was awarded “Manufacturing Leader of the Year” by Frost & Sullivan’s Manufacturing Leadership Council in the USA and honored for his thought leadership on the topic of Industrie 4.0 / Smart Factory. He has received many renown awards, advises many companies and organizations and has given numerous invited keynotes at national and international events.